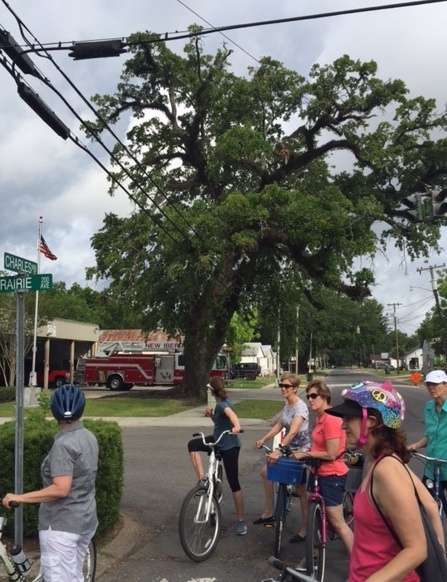 Grab your bike and go on tour with me through the town of New Iberia, the city of live oaks. Jim has been leading this tour for years, but I joined for the first time last weekend. 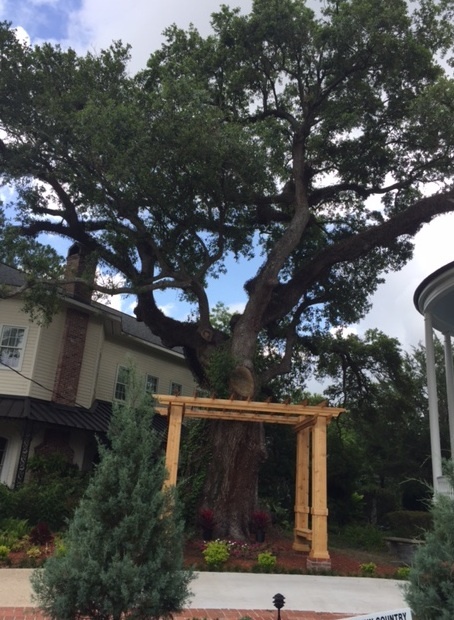 I was amazed at what little I knew about live oaks and their history in our town. The above picture was one of our first stops at the fire station. Jim pointed out the resilience of oaks. They fight to survive even while people try to control them with trimming as well as the abuse of concrete and traffic. 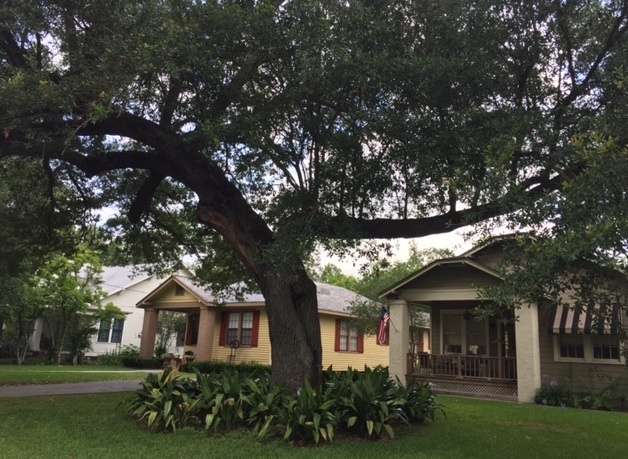 In the early 1930’s a local historian Glen Conrad sought to register live oaks in New Iberia that were 100 years or older. 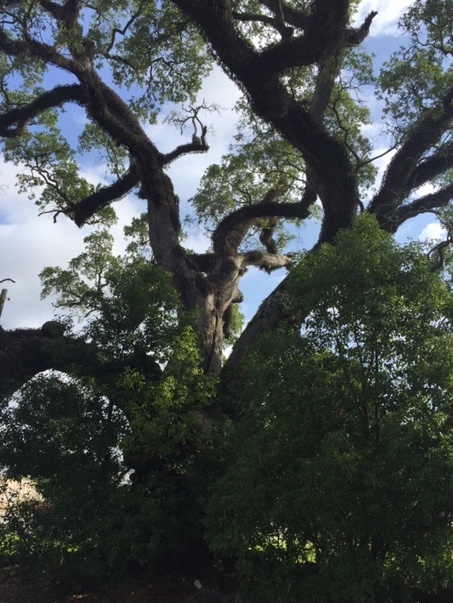 This massive oak lies on a corner of Main Street near McDonalds. The property is abandoned so this oak has been allowed to sprawl and spread its wings. We were moved to clean up trash while we stopped to admire this majestic tree. Jim stopped at this home on Main Street to talk about Armond’s oak. 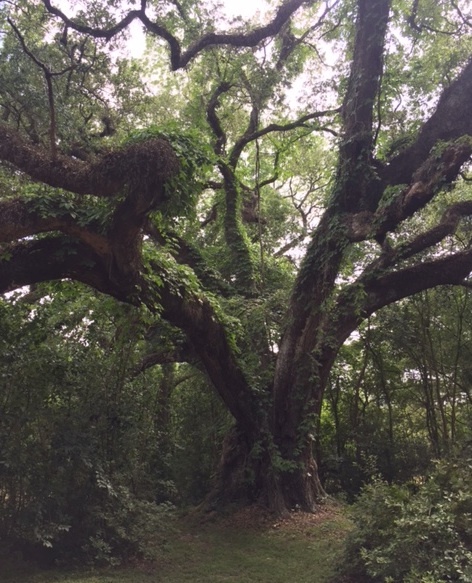 Armond Schwing doesn’t live here anymore, but in 1992 he called Jim after Hurricane Andrew damaged this oak. Jim asked Armond to be patient, the tree would recover in time. And now, almost 25 years later, the tree has grown a new branch to balance itself. To me, this is the magic of nature. The magic of our trees. Just a few months ago a large draping branch from this majestic oak fell. The owner has already refilled the blank spot with a pagoda and new driveway. Jim was called to consult on this incident, too. His advice to the owner was to build the driveway at a slight incline near the tree to allow the root system air and space. One of the things most people do not understand about these trees is that the root system is as large below the ground as the tree is above. This is imperative to the survival of a tree. This one was already endangered by losing a large root for the construction of the house next door. Jim wanted to ensure the surviving roots were given the attention they deserve. Feel the energy. City Park, New Iberia, LA. This live oak lives in City Park. I walk in this park often and I’ve never paid attention to this tree. Jim explained that he calls it the Energy Oak because it has been struck by lightning numerous times. He told us to relax against the tree and feel the energy. After all that biking, I needed a touch of live oak energy. We are blessed to have an oak of 250+ years in our own backyard, but this one just down the Loreauville Road is bigger by circumference. This tree is tucked in a grove of live oaks. The space feels like a forest. The bayou just beyond completes the magical setting. Unfortunately, Jim explained that this tree is at the end of its life. Years ago an owner tried to keep the tree from splitting, so he roped it together. This was a fix that worked at the time, but it is now constricting and damaging the tree. I felt privileged to be in the presence of this ancient oak. 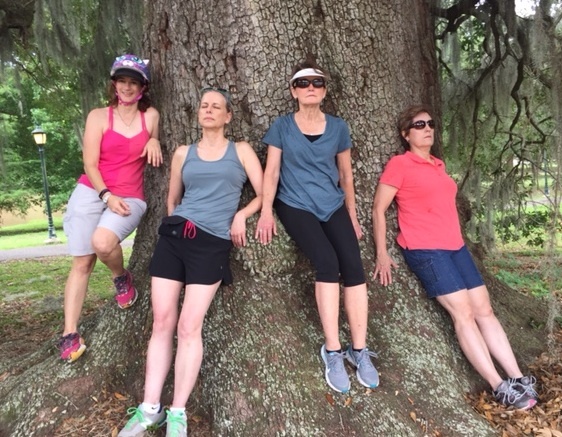 This tour of live oaks created in me a cause. I want to speak for the trees. I want to give them my love and attention. Hand in hand with my 2017 One Little Word: Cherish. Wow! Your SOL is impressive. So much history has occurred right around these trees. If only they could speak! You are surrounded by so much beauty. I’m in awe of those oak trees. I’m glad they have you speaking up for them and protecting them. We were writing comments on each other’s blogs at the same time. I love it when that happens. 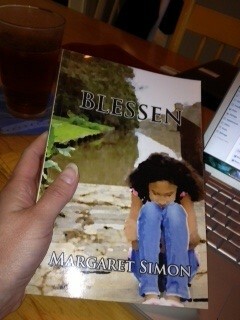 Thanks for this virtual tour Margaret. I’m a big fan and supporter of trees, they never cease to amaze and inspire me. I’m surprised that so many people take these wonderful parts of nature for granted. Thank you for this wonderful post and pictures! Your trees remind me of an old elm Lynne and I discovered in Maine. We have a story started about it – maybe its time to revisit that manuscript. 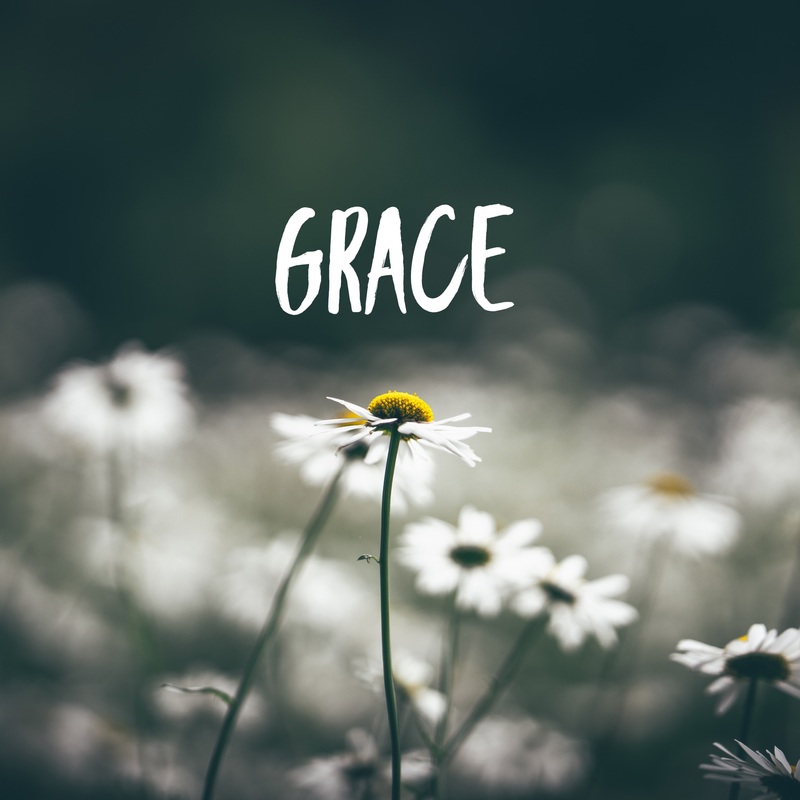 Beautiful photos and post. That final magical photo looks like the tree belongs in middle earth or some other fictional realm. Maybe you can write another home for it! I think you should write a nonfiction piece or a narrative nonfiction piece about the oaks, Margaret. You have so much passion woven into the information within this piece. I love Melanie’s idea. The power of these oaks come through in your writing. Margaret, I thought your bike tour was fascinating. I do love looking at majestic trees. Yours were special and massive. May I capture the last one for my spring gallery’s photo section? I love the trees! That Energy Oak is pretty awesome! I love trees, too. I like your word, Cherish. So important to remember that. I was here looking for the PF round up. Am I too early? I forgot. Yikes. Will have it up in about an hour. No worries. We’ll all come by later. 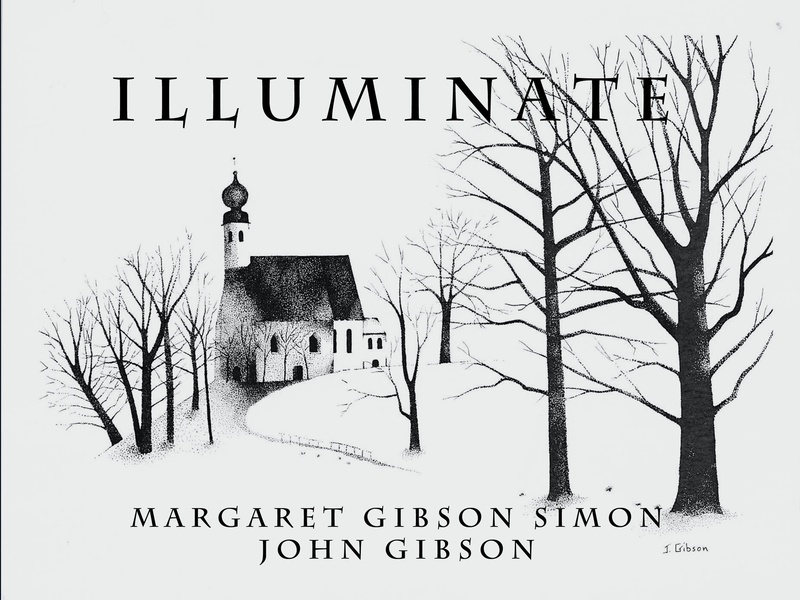 Hi Margaret–Are you still hosting? Or maybe a change of plans? 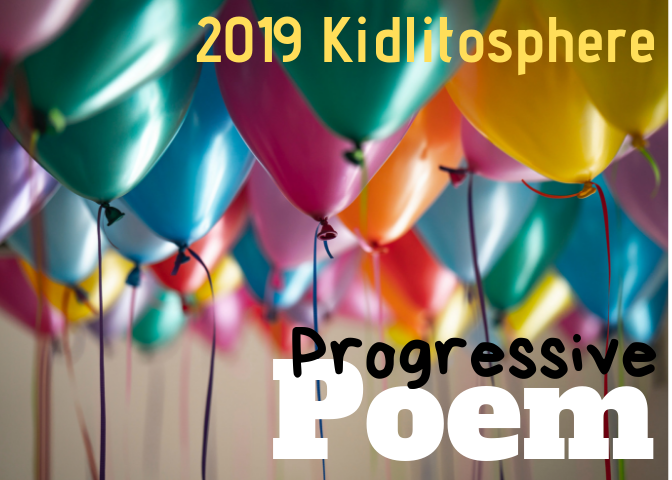 I’m in this week with a poetry visit with 5th graders and some of their poems at http://laurasalas.com/poems-for-teachers/writing-poems-5th-graders-poetry-friday/ Have a good weekend! Yes. I forgot. I’ll get it up as soon as I can ! !